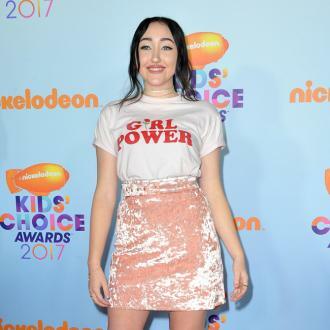 Noah Cyrus wanted to be a professional horse rider before she turned to music. The 18-year-old singer – who is the younger sibling of megastar Miley Cyrus – has revealed right up until the release of her 2016 debut single ‘Make Me (Cry)’, she’d been working on her equestrian skills and had no immediate plans to follow in her musical family’s footsteps in becoming a pop star. Asked if she felt any pressure to be like her siblings, she said: ”No! ‘Because I just wanted to ride horses. I didn’t care at all! If other people wanted me to be a singer, I didn’t care. The ‘My Way’ hitmaker says it was British singer/songwriter Ben Howard that inspired her to take up singing. Asked what changed her mind, she said: ”I don’t really know. There was just a moment when I fell in love with singing. ”Probably when I started listening to Ben Howard and his album ‘I Forget Where We Were’. And whilst Noah says comparisons to ‘Younger Now’ singer Miley are ”annoying”, she would love to team up with her entire family, including famous country singer father Billy Ray Cyrus, Miley and their Metro Station rocker brother Trace, on a song or even a festive record. On the comparisons, she told NME.com: ”They’re annoying but they don’t bother me. They really don’t make sense to me but no they don’t annoy me. ”I have always been me as my own person so what other people said didn’t really bother me. And on whether fans can expect a Cyrus family collaboration, she said: ”I’ve said we should do this! We’ve all been saying this forever. Like there should be a Cyrus Family Christmas album.